Stockmar beeswax crayons in stick form. 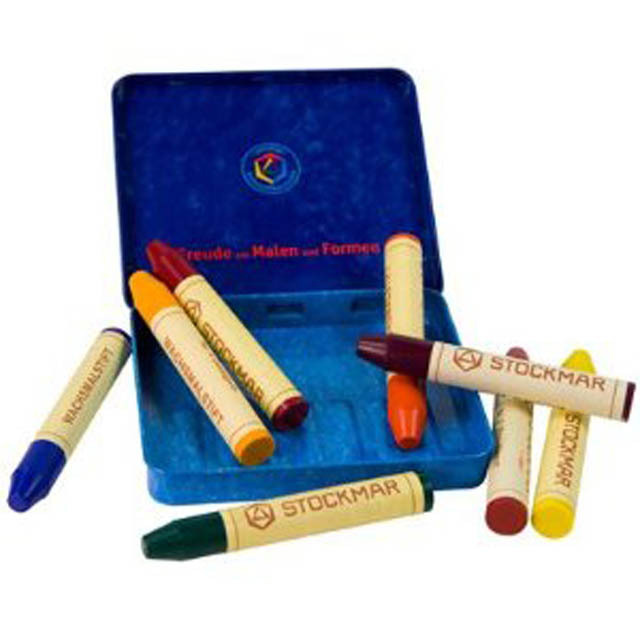 These are used in Steiner schools throughout the world. They are non-toxic. Crimson, orange, lemon, lime green, green, blue, and violet in a tin.